The Whitworth Student Investment Group (WSIG) was founded in April 2012 by a small number of Whitworth students. The students designed a proposal for the investment group and presented it to the board of trustees, who, in turn, agreed to provide them with funding. WSIG received approximately $100,000 to be managed in equities and exchange-traded funds. WSIG has now grown to around 40 students. They meet at 6:15 a.m. every Thursday. These meetings include discussions of current events, stock pitches, portfolio allocation, and learning new material. 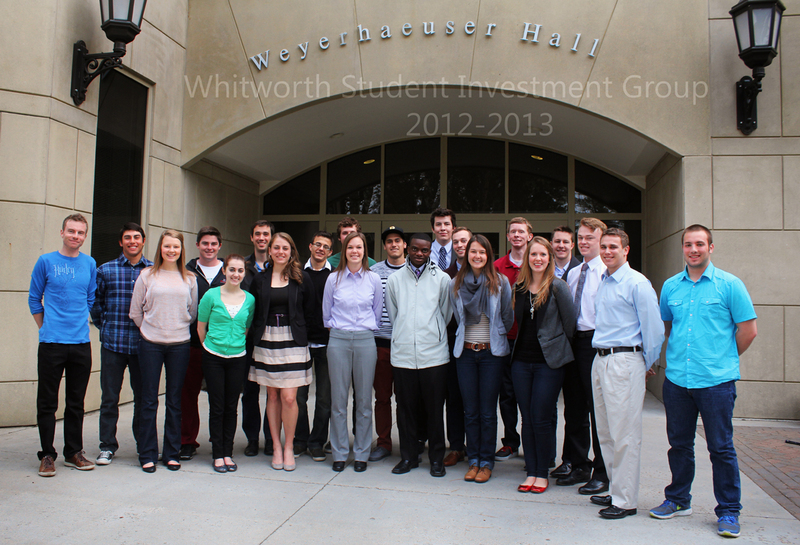 The investment group is made up of students from a variety of majors. Brian “Duff” Bergquist, executive-in-residence for the Whitworth School of Global Commerce & Management, is the club’s advisor. The club has set up a virtual trading room in search of grant money. Members are actively searching for a new space and funding to set up an actual trading room. All of their trading is currently done through online brokerages like Charles Schwab. The investment returns will be kept in the Whitworth endowment. Vierra is an economics and international business double-major. He is considering several options after graduating Whitworth, such as accepting an offer to work at US Bank or pursuing a master’s degree in finance. Next year’s WSIG leadership will be Josif Ilisoi, ‘16, Casey Judson, ’16, Ashley Sievers, ‘15, and Aaron Vaccaro, ‘14. The WSIG is not chartered through ASWU or directly tied to the Whitworth School of Global Commerce & Management.